2019-es strandnadrágok, úszónadrágok és úszóshortok olcsón, már 2270 Ft-tól. Nézz körül az általunk forgalmazott minőségi strandnadrág, úszónadrág és úszóshort kínálataink között és biztosan megtalálod a számodra megfelelő férfi strandnadrágot, úszóshortot vagy úszónadrágot olcsón. Melyik a Te stílusod? Nézd végig a kínálatot és vásárolj a 2019-es férfi strandnadrágot, úszóshortot vagy úszónadrágot az úszónadrágot webáurház részlegünkön. Kedves, gyors és pontos ügyfélkezelés a szakterületünk. Ez az Orion Divat Webáruház, a megbízható magyar webshop. Sunset Swim Shorts by Jack and Jones> Premium swim shorts> Elasticated waistband> Drawstring fastening> Internal mesh brief> 3 pockets> Lightweight> Jack and Jones branding> Body: 100% nylon> Lining: 100% polyester> Machine washable at 30 degrees ..
Sealand Sealand Boardshort férfi boardshortA Sealand prémium vitorlás márka termékei 2010 óta érhetőek el Magyarországon. A Sealand ruhái és kiegészítői trendi és elegáns megjelenést kölcsönöznek, mint a földön, úgy a vízen.anyag: poliészter..
Pierre Cardin Diagonal Stripe férfi úszóshort These Pierre Cardin Diagonal Stripe Swim Shorts are a stylish design thanks to its block coloured design that displays a diagonal stripe top one leg. Its elasticated waistband is combined with internal mesh briefs and a drawstring tie fastening to prom..
Nike Core férfi úszóshortThe Nike Core Swim Shorts feature a pair of lightweight, mesh inner briefs, complete with an elasticated waistband and internal drawstring fastening for a comfortable fit.> Mens swim shorts> Elasticated waist> Internal drawstring> Mesh inner briefs> 2 open front pockets> 100..
Speedo Leisure férfi hálós úszósort The Speedo shorts for men are a great choice on holiday when in or out of the pool, with an inner mesh brief and elasticated waistband with inner draw cord. 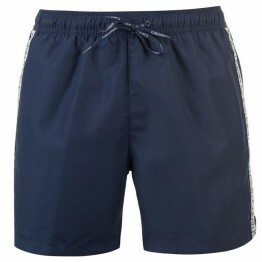 These mens swim shorts have two side pockets with mesh lining, a single touch and close pocket to the rear ..
Pierre Cardin Stripe férfi úszóshortPerfect for some fun in the pool these Pierre Cardin Stripe Swim Shorts feature metal bonded drawstring fastening and for a comfortable and regular fit. With two pockets and stripe detailing to the hem. Made from water resistant fabric for a stay dry feel. Featuri.. Taped Drawstring Swim Shorts by Calvin Klein> Premium swim shorts> Elasticated waistband> Drawstring fastening> 2 side pockets> Rear touch and close fastening pocket> Lightweight fabric> Internal mesh brief> CK tape> Shell: 100% polyester> Lining: 100% polyester> Machine washable at 30 degrees ..
Pierre Cardin Contrast Panel férfi úszóshort > Swim shorts > Elasticated waistband > Drawstring tie fastening > Two front pockets > One back pocket > Block coloured > Striped taping top outer sides > Built in mesh briefs > Pierre Cardin branding > 100% polyester > ..
Speedo Trim Leisure férfi úszóshortThese Speedo Check Trim Leisure Swim Shorts are crafted in water repellent materials with a mesh inner. 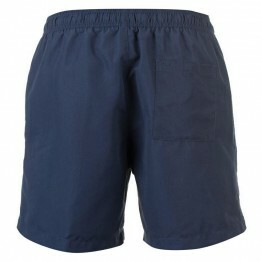 They feature an elasticated waistband that is drawstring adjustable for a comfortable and more personal fit. They have 2 open pockets and are a block colour desi..